Keywords: Internal Organizational Environment, External Organizational, Environment, Human Resources Management, Challenge, & Key Success, Factors for the Competitive Advantages of Golf Tourism-Based Human Resources Management. 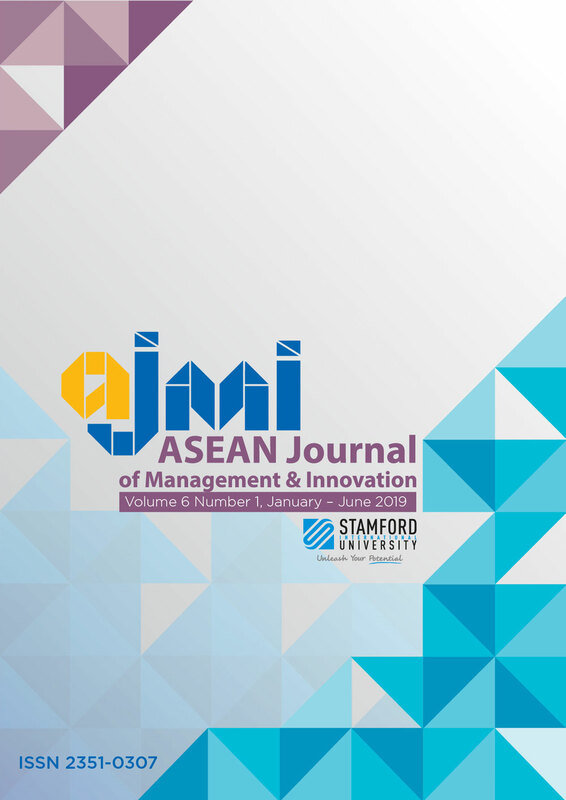 The purposes of this study aimed to analyze internal and external environments on golf tourism business in Chiang Mai, as well as key success factors on influencing the competitive advantages of golf tourism business in Chiang Mai. For research methodology, a five-rating scale – based questionnaire and an interview related to key success factors on influencing the competitive advantages of golf tourism business in Chiang Mai were both conducted with 445 golf court staff working for eight golf courts in Chiang Mai. The findings of the study revealed that in terms of analyzing the external environments of golf tourism business in Chiang Mai, national economic factors influenced on all business ventures because national economic indicators were set up for the Thai citizens’ demands in their buying. On the other hands, their valuable competence, in terms of analyzing the internal environments of golf tourism business in Chiang Mai, was mostly found in the management of golf tourism business in Chiang Mai. Also, key success factors on the competitive advantages of golf tourism-based human resources management in Chiang Mai were all rated at a highest level in terms of its infrastructure, system, and approach, followed by its model, professional skills, staff specialization, strategic management, and its shared values.